BMW i3 is the most fuel efficient car in the U.S.
Home / Models / BMW i / BMW i3 is the most fuel efficient car in the U.S.
Back in February, Consumer Reports published a list of the most fuel-efficient cars sold in the United States. At the top of the pack was placed the BMW i3 REx with an overall MPG or, eMPG in this case, of 139 miles. The publication has updated the list and the i3 is being placed first once again. The Mitsubishi i-MiEV SE with 111 MPG and the Ford Focus Electric with 107 MPG follow i3’s lead. BMW i3’s traditional competitors, the Nissan Leaf (106 MPG) and Chevrolet Volt (99 MPG) placed fourth and fifth, respectively. The Tesla Model S with the 85kWh battery came in seventh, with 84 eMPG. 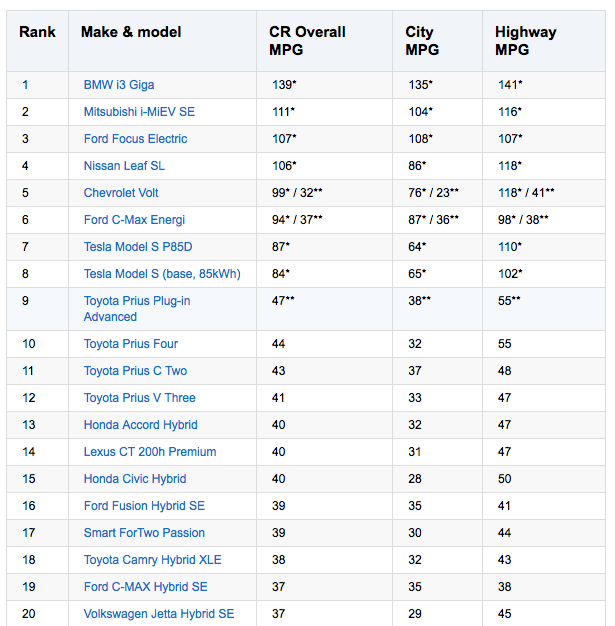 Consumer Reports’ overall mileage is calculated from equal portions of city and highway driving. The fuel economy numbers are derived from a precision flow meter and are rounded to the nearest mile per gallon. 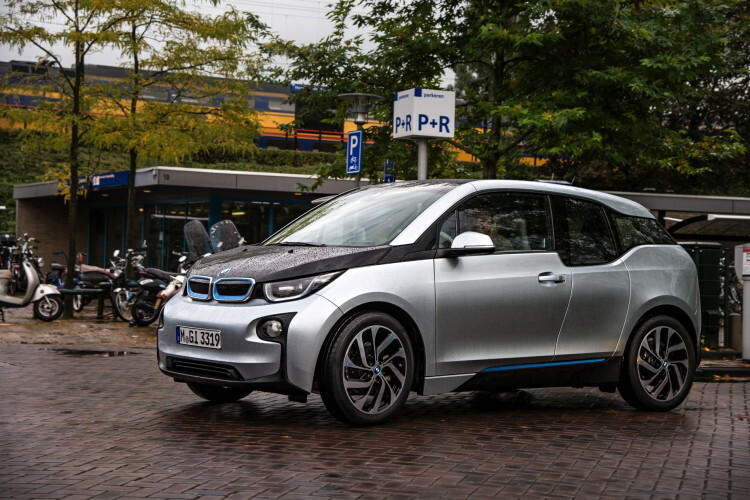 BMW i3 REx comes with a rear-mounted 650cc, 34 hp, two-cylinder, gasoline- powered Range Extender generator is available, which roughly doubles the vehicle’s range. When the battery gets to a certain level, the Range Extender starts and maintains the battery’s current state of charge.